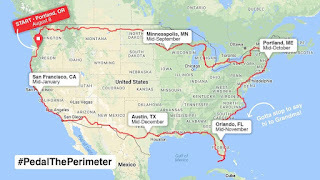 For readers who may be interested, my cousin, Matt "BikerBroshat" Broshat, is attempting to bike the Perimeter of the USA #PedalThePerimeter. 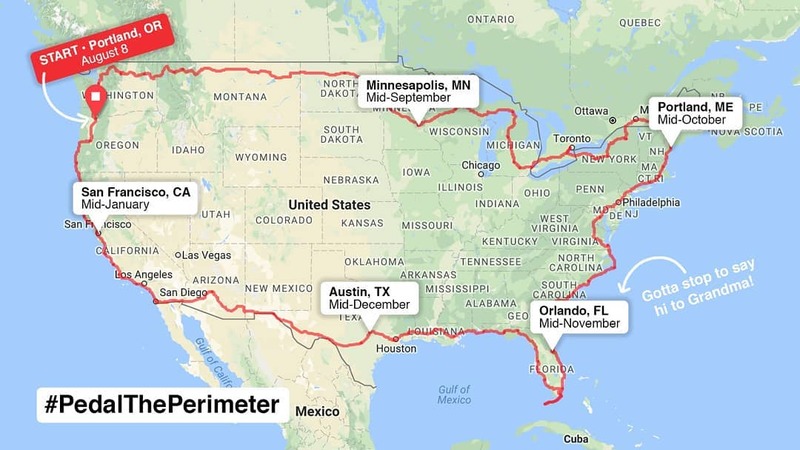 His trip is starting today, August 8th, 2018, and he is planning on taking about 6 months to complete his journey. This will be a self-supported ride with a bike that is built to carry all his gear and camping equipment - it is not a fast bike but he hopes to ride 60 miles a day. I am sure he will need plenty of help, a wash of clothes, and a place to stay on his route. Being the athlete myself, I know what this is going to take logistically, solo, so there are no hard dates about where he will be, and when, but follow his Instagram account for updates. I am sure he would be appreciative of any support. Matt is a very religious person and kind person who has committed, even in cold and blustery Minnesota winters, to commuting and traveling by bike. His goal is to raise $25,000 for a youth group for special needs kids. Matt has been involved in helping these kids live a better lives through his own donation of time. Stay safe Matt!